Escaping the turbulence of their homeland, Viola and Sebastian risk a perilous journey to Illyria hoping to find security and a new life. When their boat sinks and the twins fear each other dead, the adventure truly begins. Coeurage Theatre Company welcomes you to an Illyria peopled by street musicians, eccentric young affluence, immigrants and the media obsessed in Shakespeare’s Twelfth Night, adapted and directed by Kate Jopson. Interpreted through a lens of social consciousness and supported by the timeless text, Coeurage’s production of the bard’s classic takes a critical look at cultural isolation and the beautiful, dark and deeply human longing to belong. 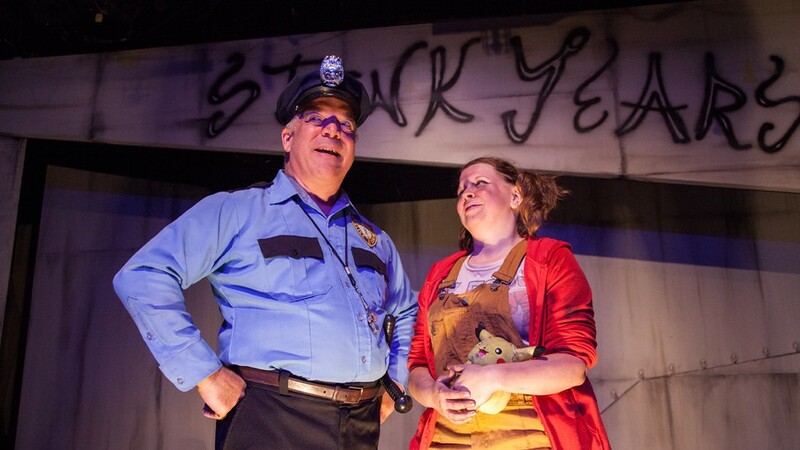 An earnest tale of love, greed, and revolution, Urinetown tells the story of an urban city plagued by a 20-year drought, where water has become so scarce that private toilets have become unthinkable. Through the determination of destitute masses and the relentless power of the musical theatre, a hero rises to lead his fellow citizens in rebellion against the tyrannical corporation holding a monopoly over the town’s most private and basic of needs. Winner of the 2001 Tony Awards for Best Book of a Musical and Best Score, Urinetown is an irreverent, hilarious satire with a wickedly modern wit - a “comedic romp” for the millennial age and uncomfortably topical.